Paul wrote this in Ephesians 1: 15-17 Ever since I first heard of your strong faith in the Lord Jesus and your love for God’s people everywhere, I have not stopped thanking God for you. I pray for you constantly, asking God, the glorious Father of our Lord Jesus Christ, to give you spiritual wisdom and insight so that you might grow in your knowledge of God. I pray that your hearts will be flooded with light so that you can understand the confident hope he has given to those he called—his holy people who are his rich and glorious inheritance. Mr. Bennard is a man after my own heart. He was seeing the cross with new eyes-the eyes of God. How did that happen? Through his prayer. He said he was praying for a FULL understanding just as Paul spoke of in Ephesians! His heart was flooded with light and understanding! Not only did he get understanding-countless people around the world have gotten it through the writing of this song! I believe that we can be saved by hearing, experiencing, and seeing God’s Word through a song, a piece of art, a poem, and through taking communion. What I mean by that is that God can prick our hearts to believe by any means he wishes and he does. Then there is Count Zinzendorf who was born in 1700 in Dresden, Germany. He was born into a very noble family. As a young man he visited an art museum in Dusseldorf, Germany. While there he saw a painting called “ Behold the Man” by Domenico Feti. The painting depicted the risen Christ with these words, “ All this I did for Thee, what hast thou done for me?” The face of Christ in the painting never left Count Zinzendorf’s heart and Christ’s love became the compelling force in his life. 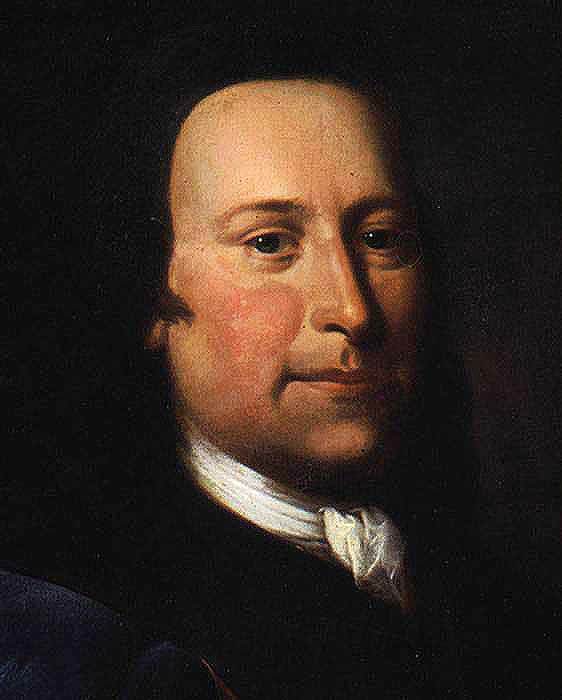 Zinzendorf had something in common with Wesley and Mr. Bennard-they were all men of prayer. You see Zinzendorf spent countless hours in communion with his Savior through prayer and he sought to lead others to a life of prayer also. He allowed a small group of Moravians to build a church on his estate in Hernhut in 1722. He helped them develop a deep passion for Christ. His example led the Moravians to begin a powerful prayer movement that they called “ hourly intercession.” They prayed in shifts-24 hours a day for 7 days a week for the work of Christ around the world. This went on uninterrupted for 100 years! The Moravians sent out more missionaries than the whole Protestant Church had done in 200 years! Pretty remarkable I’d say! What I didn’t tell you about John Wesley was that he had his own experience with the Moravians while traveling to the New World in 1735 by ship. During a storm- Wesley was afraid for his life and the Moravians were strangely calm and they were singing hymns and praising God. Wesley noticed this and he was moved. Once they safely arrived the Moravian leader asked Wesley if he had faith in Christ. He said that he did-but he also wasn’t sure. This caused Wesley to do some soul searching. It wasn’t long after that he had his Aldersgate experience. His passion for God rose to a burning inferno. He is quoted to say: “Catch on fire with enthusiasm and people will come for miles to watch you burn.” I can’t help but think that these Moravians were from Hernhut and that this was a divine appointment for Wesley through their faithful prayers. It changed his life! These men of faith have a lot in common with all of you! You, too, are faithful prayer warriors and we know that prayer is the greatest weapon we have. Paul says in Ephesians 6:18 Pray in the Spirit at all times and on every occasion. Stay alert and be persistent in your prayers for all believers everywhere. When we pray like this we are acknowledging to God that He is the strength of our lives. Prayer allows us to stand in the gap for believers as well as people who can’t do it for themselves, won’t do it or don’t know how to do it. Just as George Bennard asked God for full understanding-we must do the same in our time of prayer with God. We are also to remind God of His Word-His promises-to pray the scriptures back to Him as well as send up praise and thanksgiving. One of the things I have recently learned to do is to praise God with thanksgiving by using the alphabet! A- You are an AWESOME and ALMIGHTY God! B- You make all things BEAUTIFUL! C- You are the CREATOR of all things colorful! You get the idea! Try it! God loves to hear our praises and I thank God for people like George Bennard who PRAY and seek God’s understanding and then put it to such a wonderful tune to be heard the world over! May God rejoice in singing over each of you as you commune with Him in prayer, praise and thanksgiving this week!